Located in Albuquerque New Mexico, Silver Magic manufactures and sells a wide variety of genuine handmade Indian and Southwestern style jewelry. 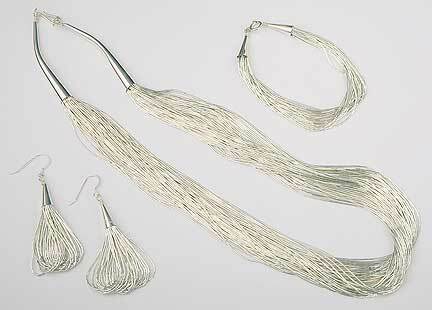 We are one of the southwest's largest manufacturers of Liquid Silver jewelry. Silver Magic is dedicated to bringing it's customers the highest quality jewelry at highly competitive prices. Come discover what our clients already know - Silver Magic is the best southwestern jewelry dealer in Albuquerque! If you would like to make a purchase, please call 1-888-765-5701 or CLICK HERE with your request.